Celebration of the Macabre. | Do. Be. Interesting. Home Adventure Celebration of the Macabre. I’ve been in enough of them now to know that they all share the common theme of gruesome. Of course, you’ve got your statues of Jesus covered in blood, dead or dying on the cross. Then you’ve got your marble decapitated head of St. Paul laying on top of the actual column where he was beheaded. You’ve got your tombs and crypts and deathly silence. And where there isn’t silence, you’ve got chanting. I walked into a cathedral on Gozo where the audience was repeating after someone speaking in Maltese. Except there was no someone. And the other night, this procession in Valletta. Someone acting out Jesus dragging a cross and being whipped by Roman soldiers. And the whips were pretty real. Like I watched them hit the guy over and over with straps attached to a pole. 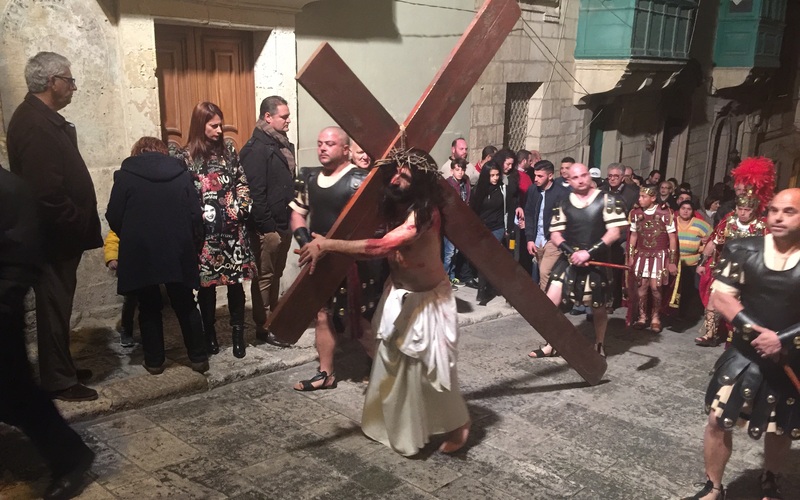 Someone told me the guy was doing actual penance by carrying the cross and getting whipped while wearing a crown of thorns. Gruesome, cold, bloody death, silence, and chanting. That’s the church scene in Malta. If someone died for you–literally jumped in front of the gun and took a bullet for you–would you create statues and paintings of them crying out in pain, covered in blood, with a gaping bullet hole through their body? If that’s what you’d do, you’ll find yourself right at home in a Maltese cathedral. Previous articleFrom Dust I Will Return.